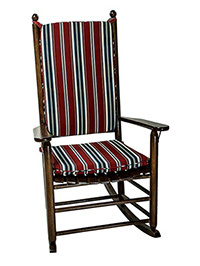 Clearance on all in-stock cushions for Troutman rockers! All in-stock cushions are 25% off. Discount will be applied in the cart. If you don't see what you want in the clearance section please go to our Special Order section and order exactly what you want! You can pick your preferred construction; choose no welt, single welt, double welt, or even a contrast welt. 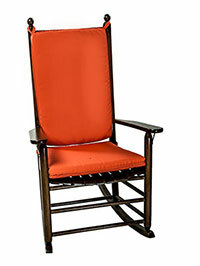 Our fabrics include the legendary Sunbrella indoor/outdoor upholstery fabrics. All pieces, including the kidney pillows, include zippers. These custom cushions are handmade for us in the USA. 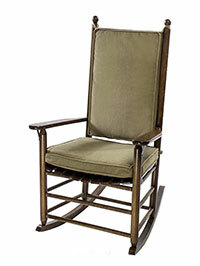 Special order cushions are available in two sizes for most of the Troutman rocker styles. We will make just the seat cushion, a 2-piece seat and back set, or a 3-piece set that includes a cute little kidney pillow!